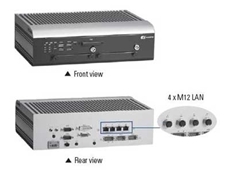 Interworld Electronics has introduced a new range of fanless box PCs from Axiomtek designed specifically for transportation applications. 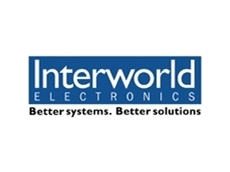 Interworld Electronics announces the release of the new generation ViPAC Series industrial panel PCs from Aplex Technology. Interworld Electronics has released the FSB-868G-A10-G2LV full size single board computer from AAEON. The FSB-868G-A10-G2LV is AAEON's new full size PICMG 1.0 CPU board featuring the Intel(r) 945G express chipset with support for Intel(r) Pentium(r) 4, Pentium(r) D and Celeron D processors. The Intel (r) 945G express chipset features the Intel(r) Graphics media accelerator (GMA950) with 400 MHz core frequency making it ideal for demanding graphics and multimedia applications. The FSB-868G-A10-G2LV supports PICMG 1.0 backplanes with PCI/ISA expansion interfaces and includes an onboard PCI-Express x1 (DF13-30P connector) allowing you to extend your systems features by adding off-the-self boards. The Intel (r) 945G PCI-Express bus architecture allows high-speed peripheral data transmission to the dual onboard Gigabit LAN ports satisfying the demands of small data server or firewall applications. 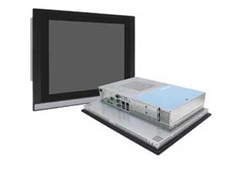 With 7 USB 2.0 ports, 2 Gbit Ethernet ports, 2 COM ports, 1 parallel ports, 4 SATA, 1 ATA-100 IDE, floppy drive, VGA video, LVDS video, PS/2 keyboard and mouse connectors the FSB-868G-A10-G2LV allows almost any internal or peripheral device to be connected. An optional Realtek ALC655 AC97 Codec audio daughter board is also available. The FSB-868G-A10-G2LV is also RoHS compliant satisfying European Union environmental standards.